Most people find the idea of selling themselves to a stranger to be unnatural, stressful and a hard prospect to face. Despite this, job interviews are something that most of us have to go through several times in our lives. The stakes can be high - we are talking about your own wellbeing and prosperity. That's why we've compiled the ultimate guide to acing job interviews, including some little known tips to ensure you stand out from the crowd. If you want other ways to stand out from the crowd, why not read our step-by-step guide to inducing flow state to become hyper-productive. The first thing anyone should do to prepare for a job interview is to actually research the company and your job role. This may indeed enhance your commitment to the interview or highlight questions you may wish to ask throughout the interview - more about these later. While doing this research, think about why you have applied to the job, what it is that you are interested in and what you think may be challenging about the job. These may indeed be questions that you will be asked in the interview. Ultimately, you want to think about what you have to offer to the company you are applying to. Nowadays, many jobs are open to applicants coming from all sorts of backgrounds. While that is a great opportunity, you may also find it difficult to articulate why your background is relevant to this particular job. In fact, another background might seem more relevant. For example, when thinking about working in cybersecurity, for most people university degrees in computer science, maths or another IT- related field will come to mind. However, having studied cognitive science, neuroscience or psychology may prepare you just as well for a graduate scheme or job in this particular field. Here, it is important to think about your transferable skills. What is it you have learned in your degree that is transferable to cybersecurity? Many programs will teach you how to build an argument, how to apply research and knowledge, how to communicate complex ideas and how to test hypotheses. As a psychologist, you will know about the human mind, and decision-making. One of the greatest threats to cybersecurity is indeed human error and having studied any field exploring human behaviour will equip you with a skill set very much relevant to this job. The main point here is that your applicable skill set might not seem obvious at first. However, you will know why you applied to the job in the first place. Something made you think that you had a chance, so convey why you really do have the skills to work for this employer. One of the first questions you may be asked could relate to your CV and cover letter. Make sure you look at these documents as well as any references you may have sent before the interview to prepare for potential questions. What past experiences are relevant to the job and what have you learned from seemingly irrelevant experiences that are indeed applicable? Online, you will find endless lists of questions that are regularly asked at job interviews - feel free to check out the references to guide you through some of these in a bit more detail. Essentially, when answering questions, think about what impression you want to leave the interviewer with. Show that you are creative in your thinking, that you have problem-solving abilities and that you remain honest and well-grounded. When asked questions that have a negative twist, try answering them in a positive way by for example illustrating how you have overcome a challenge. When the questions asked are abstract, relate them back to your experiences and skills. In the end, the interviewer wants to get to know you as a person and what you have to offer to the company. Practising these questions with a friend will be extremely useful. Similarly, saying things out loud in a practice interview will give you a sense of what your answers actually sound like. If you feel uncomfortable with what you are saying because you are trying hard to impress, chances are that the interviewer will feel the same way. Ask your friend or colleague to give you feedback and go through sample questions so that you are prepared for the topics that may come up. On top of practising in advance, you want to make sure you that you are indeed answering what you have been asked. If you are not sure you understood the question, it is okay to ask for clarification. 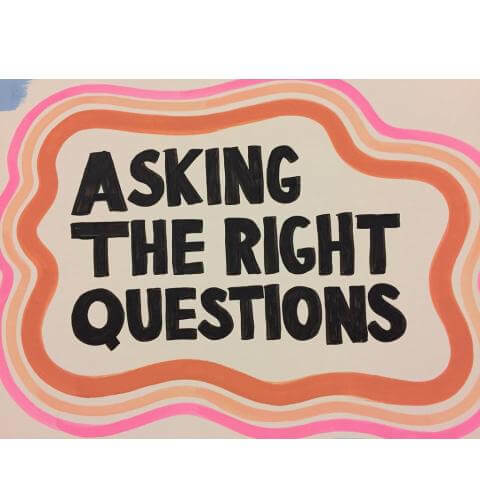 It will demonstrate that you are actively engaging with the conversation, and will look much better than simply answering the wrong question. Once you have made sure you are verbally communicating what you want and answering the right questions in the best way, it should all go well, right? Not necessarily - non-verbal communication is, in fact, a major part of how you as an interviewee are perceived. The below video highlights how you can adapt your body language to get the best out of your next job interview. We will summarize the main points highlighted in the video below. 6. Avoid lying signals (touching your nose or face, glancing off to the side). 7. Give the perfect handshake (firm, dry hands. If you are prone to sweaty palms, you should wipe your hands on your trousers or other fabric). Bonus tip not in the video: smile! The power of the smile is undervalued. Show the interviewer that you are happy to be there. While some of these tips may seem obvious or even a little bit ‘cliché’, having practised these simple forms of interaction in a practice interview will make you feel more secure. If you are sitting in an interview, wondering what to do with your hands, where to look at and how to greet the interviewer, then you are losing focus on answering the questions asked or asking your own questions. Having ritualized some of the tips above will allow you to perform better. Asking your interviewer questions is your chance to find out more about the job and the company. You might want to find out about practical aspects such as working hours or payments. Or you might be interested in the working culture of the company. Either way, this is your opportunity to show curiosity. At the same time, you want to prove that you have come prepared. Don’t ask questions that are answered on the website of the company. Instead, dig deeper and show your genuine interest. Therefore, preparation is key to getting these questions right. You may even want to bring in a list of questions you have prepared. You are not expected to improvise questions on the spot, but if things come to mind during the interview, this is your chance to ask them. I see that there are lots of millennials working here. Could you please tell me more about the culture of the company? What is it like to work here? I saw that you recently launched a headquarters in New York. What direction is the company going in? Do you have any more plans for expansion? Could you please tell me a bit about your experience with the company? When did you join, what are your thoughts? Are the existing staff sociable? Are there events, parties etc.? By not only asking smart questions that should help your decision as to whether or not you want to work somewhere, but this also shows to the interviewer that you have done your research and are genuinely interested in the company and the job. Notice how the questions are tied into your own observations or research. A phone interview may feel unnatural or awkward at first, however, it may also be a great opportunity. To make sure you are experiencing the best conditions for your phone interview, ensure you have a good connection and that you won’t be disturbed. 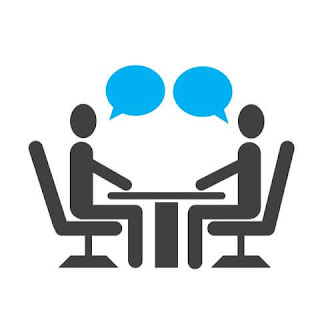 Practice the interview with a friend and get a feeling for what silences may feel like. While not seeing the interviewer won’t allow you to pick up on non-verbal cues, you may find it easier to focus on the content of what you are saying. Indeed, you will have the chance to note down points you would like to make or ask about. When speaking on the phone you want to avoid reading off a list, however, writing down some key terms will provide you with enough of a memory cue to mention what you have prepared. I know, it seems strange. But try it with yourself right now. Say something out loud to yourself with your normal expression, and then say the same thing whilst you are smiling. You should be able to notice the difference in tone and style - even if you can't pick up on the difference, the person on the other end of the phone definitely will. You will come across more confident, friendly and calm. When it comes to the interview day, you want to make sure that you have been prepared in advance. Things that may add further stress to you on that day should be avoided. Plan what you will wear and how you will get to the interview on the days before the interview. Wear something that is appropriate for the interview, for example, you may have been given a dress code. If you haven't been given a dress code - always opt for smart business attire (suit, tie and shoes for men and a jacket, blouse and knee-length skirt for women). Even if your interview is at McDonald's, taking this step shows you are willing to go the extra mile. Also, plan what you will bring to the interview. You may have been asked to bring a birth certificate or a national insurance number etc. Always bring a notepad, a pen and a list of questions you want to ask. Also, bring a copy of your CV, the job listing, and any other supporting information for your application. This will help you look organized, attentive and driven. Make sure that whatever documents you need to bring are in a neat folder and in a presentable condition. And lastly, remember that an interview is a chance for both sides to get to know each other. Don’t feel like this is only about the interviewer assessing you. Observe if you feel like this job is right for you and afterwards think about what went well and whether you would like to proceed to the next step of the application process. Our final tip is for those who get extremely nervous or stressed before a job interview. If this applies to you, you should consider using supplements to help boost your performance on the day. If you look for something that works on the dopamine pathway (helps you be more confident, assertive and better motivated), then you are usually able to deal with stressful situations better. BrainZyme® Professional is a potent naturally-sourced brain foods supplement, helping tens of thousands of people around the world to concentrate better, have more energy and be more productive. BrainZyme® Professional works on the dopamine pathway, making it an ideal supplement for job interviews. It is our belief that BrainZyme® is the best supplement for job interviews currently on the market anywhere in the world.